le chaudron de vulcain – October 31 , 2017. EN. 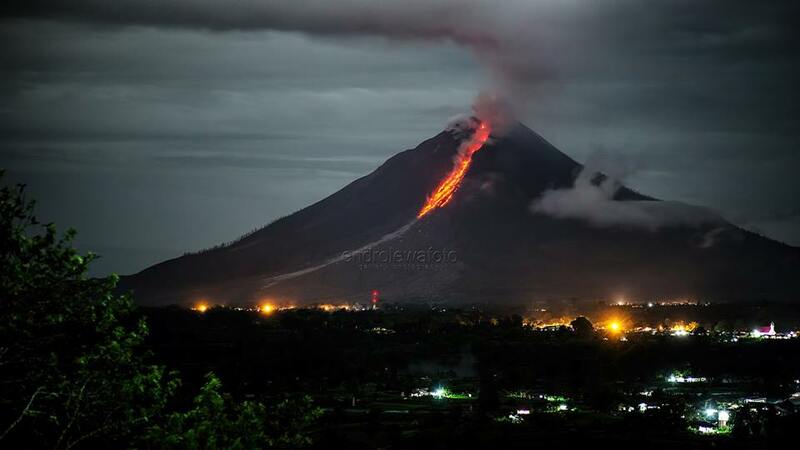 Sabancaya , Reventador , Bulusan , Sinabung . Home / blog georges Vitton / October 31 , 2017. EN. 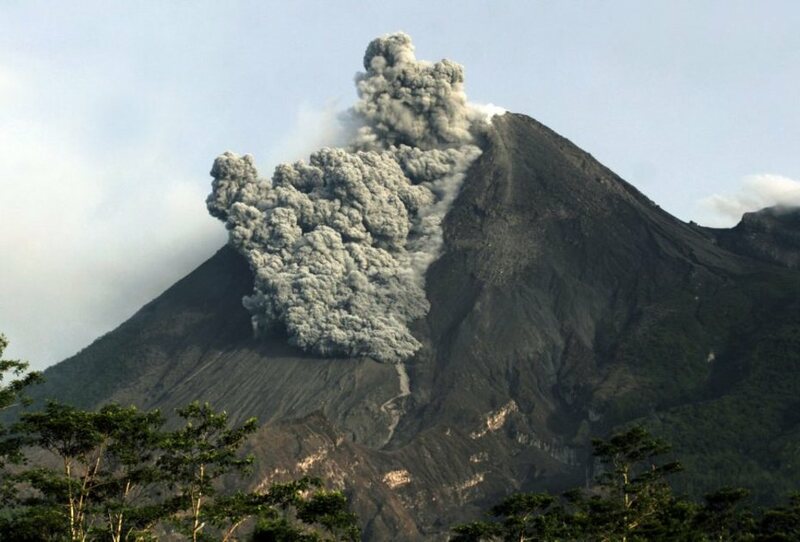 Sabancaya , Reventador , Bulusan , Sinabung . The average of the explosions decreased slightly, recording 43 events per day compared to the previous week. The activity of Tremor (ash emissions) is maintained on average about 3 hours per day. On the other hand, the predominance of earthquakes related to the movement of fluids (Long Period type) and events that indicate the rise of magma (Hybrids) have seen a slight increase in numbers. Eruptive columns of gas and ash increased very slightly over the previous week, reaching a maximum height of about 3900m above the crater. The dispersion of these materials occurred within a radius of about 30 km, mainly in the Northeast, East, Southeast, Northwestern directions. Deformation monitoring in the SNSE GNSS station during the last period did not show any significant changes in the deformation. 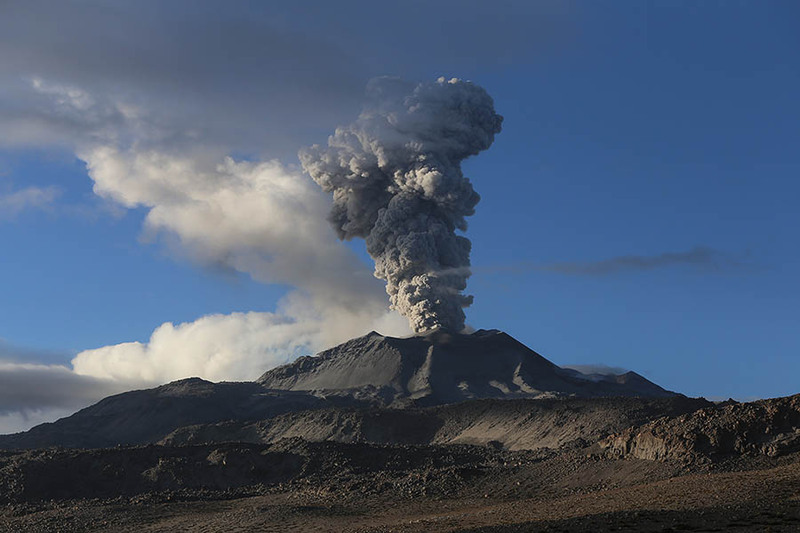 The volcanic gas (SO2) flux recorded on October 29 had a maximum value of 2635 tonnes / day, a value considered high. 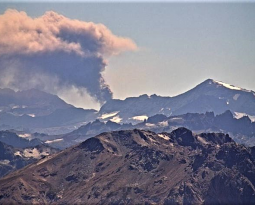 The eruptive activity showed a slight decrease compared to the previous week and it is possible that this behavior will continue in the coming days. 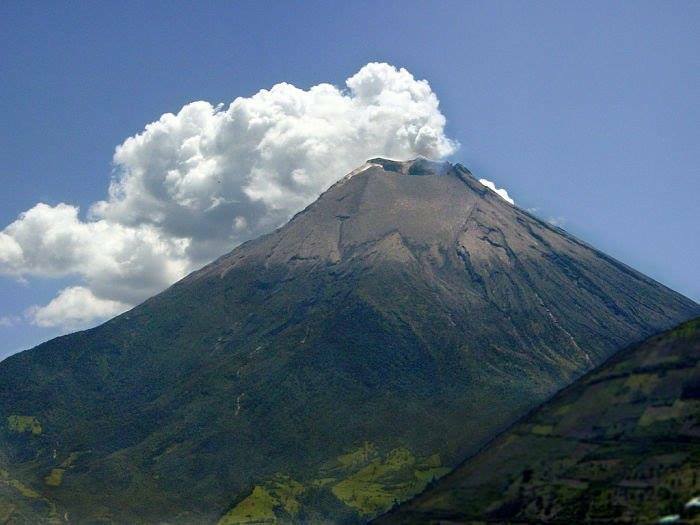 The geophysical institute reports a strong eruptive activity on the Reventador volcano. OCTOBER 30, 2017. The Reventador volcano, located between the provinces of Napo and Sucumbíos, has a high eruptive activity. This information was published by the Institute of Geophysics at the École nationale polytechnique on Sunday, October 29, 2017. According to the entity, on the night of Saturday, October 28, the emissions of vapor and gas with high ash content exceeded 600 meters above sea level. As a result of this activity, ash falls have been reported in the San Luis, San Carlos and Salado areas of El Chaco de Napo Township. 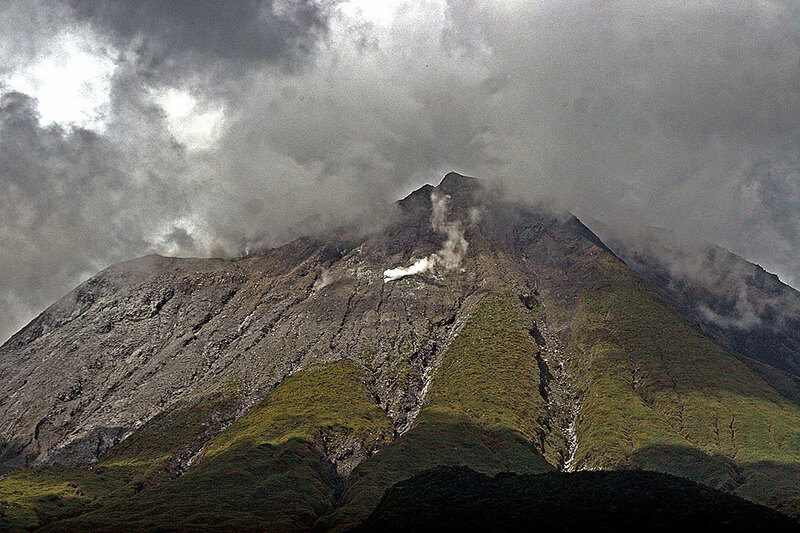 the Institute noted that until the publication of its report there were no rains or lahars around the volcano. The Reventador is located about 90 km east of Quito and is currently one of 3 active volcanoes in the country. 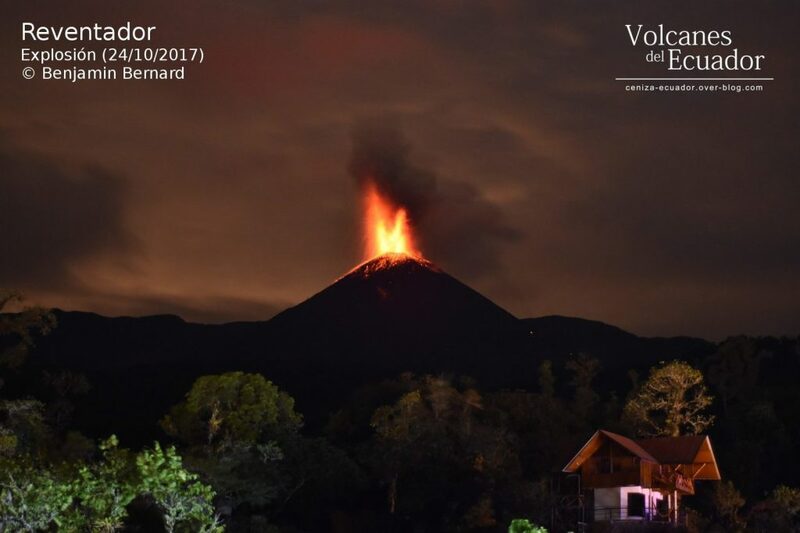 Activity report of the Reventador volcano, 30 October 2017. 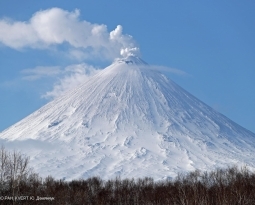 The volcano maintains a high eruptive activity. 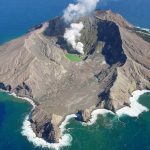 Moderate ash emissions have been observed, with heights greater than 1 km above the crater level in a southeasterly direction. Ash falls have been reported in the city of San Luis, El Chaco Township. Yesterday afternoon, rains were recorded, without reports of lahars. Since 11:00 (TL) yesterday until 11:00 (TL) today, it has been recorded 16 episodes of broadcast tremor (TRE), 42 long period type events (LP) and 19 explosions (EXP). 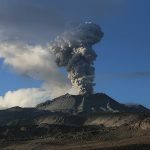 From the afternoon of yesterday until this morning most of the time the volcano remained cloudy, however, between the clouds, moderate ash emissions rising to 1km above the crater were observed, directed to the South. In the morning reports of the Orellana monitoring unit gray moderate ash was reported in the San Luis area of Napo province, El Chaco area, and Gonzalo, Diaz parish of Pineda. This daily report will be issued at 12:00 (TL) and as long as the level of activity of the volcano justifies it. Bulusan Volcano’s seismic monitoring network recorded one (1) volcanic earthquake during the past 24 hours. Weak emission of white steam plumes that drifted southwest was observed coming from the active vents. Sulfur dioxide (SO2) emission was measured at an average of 87 tonnes/day on October 26, 2017. Precise leveling data obtained on August 23 to September 1, 2017 indicated inflationary changes relative to June 2017. Continuous GPS measurements also indicate inflationary trend since July 2016. Level IV Activity Level (AWAS). The Sinabung (2460 m altitude) yesterday until this morning was visually observed clear until the arrival of fog. The smoke rising from the crater is observed up to 100-800 m. The wind is east, south-east and south. Thanks to the seismograph and a visual recording, it was noted 1 eruption / emission with a height of 2000 m above the peak and observed 2 hot clouds descending 3000 m to the south-southeast and 59 lava collapses up to 500-1500 m to the east, south-east and south. Laborus River dams, formed by the accumulation of hot cloud deposits, could cause lahars or floods if these dams collapse. 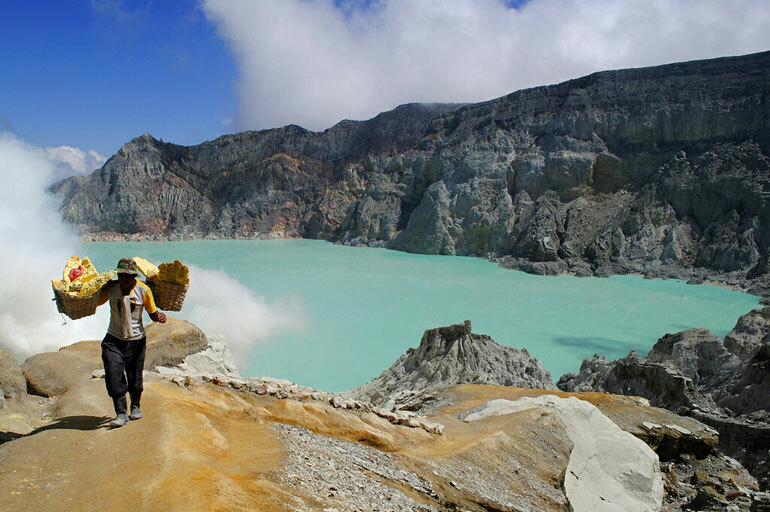 Communities / visitors must not engage in activities within 3 km of the summit, and by sector around the summit 7 km to the south – southeast, 6 km east – southeast. 4 km to the northeast. Eruption with ash clouds at 02:32 UTC ( 09:32 local time). The eruption lasted for 292 seconds. Volcanic Cloud Height : Best estimate of ash-cloud top is around 12672 FT (3960 M) above sea level, may be higher than what can be observed clearly. Source of height data: ground observer.